Canadian Prime Minister Justin Trudeau told reporters: "Canada has been unequivocal that we will always stand up for human rights and women's rights around the world. When the UN made a request of us that we grant al-Qunun asylum, we accepted." The UNHCR has welcomed Canada's decision to resettle Qunun. A Saudi envoy in Bangkok denied any official Saudi involvement in Qunun's detention. However, Qunun sent a series of tweets pleading for help from her airport hotel room, and her case was picked up by Human Rights Watch and journalists. It is only two days since the Australian government announced that it had been approached to take Qunun, and that it would treat her request sympathetically. The UN usually approaches only one country at a time to seek asylum. Qunun told the BBC: "I shared my story and my pictures on social media and my father is so angry because I did this... I can't study and work in my country, so I want to be free and study and work as I want." On Friday, Qunun wrote on Twitter that she had "some good news and some bad news", before deleting her account. Her friends said she had received death threats online. Yes. 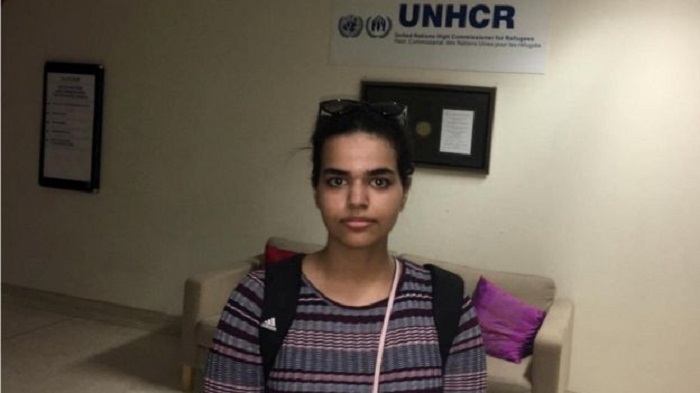 Qunun's case echoes that of another Saudi woman who was in transit to Australia in April 2017.